In the wise words of rock band legend, Guns N’ Roses, “Welcome to the jungle, we got fun and games.” Well, at the premiere of the highly-acclaimed and much-anticipated movie, Jumanji: Welcome To The Jungle, there was a whole lot of fun and games and so many awesome celebrities who had a total blast at the amazing movie’s premiere. The outstanding actor, Sam Lerner had a brilliant time as he attended the movie premiere which took place on December 11, 2017 at the TCL Chinese Theatre in Los Angeles, California. The incredible Sam Lerner had a fantastic time at the premiere and made this terrific GIF with his good friend, Cameron Fuller that was shared on Sony Pictures’ Twitter account. 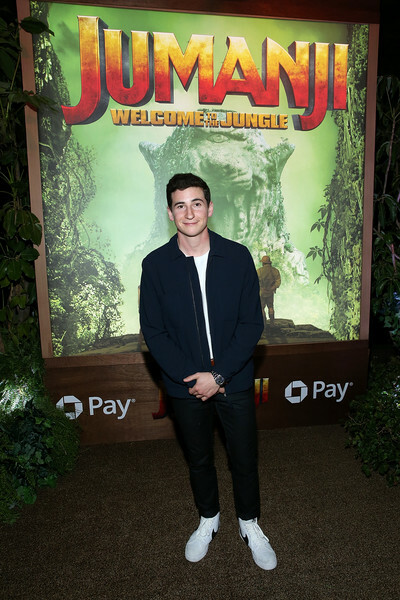 It looks like Sam Lerner enjoyed his time at the premiere of Jumanji: Welcome To The Jungle! Check out some more pictures below of the exceptional Sam Lerner at the event. Previous VIPAccessEXCLUSIVE: In Real Life Interview With Alexisjoyvipaccess At Their Concert At The Roxy! Next Article: Get In The Holiday Spirit With This Perfect Holiday Greeting Card From Cat Sensation, Sabrina Pound!